Industrial Clutch Parts Ltd. supply a complete range of Goizper Hydraulic Clutches. Available and stocked in different sizes, suitable for a diverse range of applications. Goizper Series 6.32 is a Hydraulic Clutch manufactured and designed to transmit torque from one shaft to the other through the friction between their inner and outer discs.  Industrial Clutch Parts Ltd. supply a complete range of Goizper 6.32 Series Hydraulic Clutches, available and stocked in the UK for quick delivery times. With torques ranging from 110 - 6200 Nm, the 6.32 Hydraulic Clutch is available in a number of sizes and used throughout different industries for an array of applications. Suitable for a diverse range of applications which include - presses for metal forming, stamping, embossing and drawing, can manufacturing, automotive parts, shears and die cutters; transmissions for machinery and vehicles, marine engineering, stationary and mobile cranes, and multi-motor drives. The Goizper Hydraulic Clutch Series 6.32 transmits torque from one shaft to the other through the friction between their inner and outer discs. The torque of these discs, and therefore the clutching, is produced by oil pressure. Presses for metal forming, stamping, & embossing, can manufacturing, automotive parts, shears & die cutters; transmissions for machinery & vehicles, marine engineering, cranes, & multi-motor drives; brakes for hydraulically driven machines.